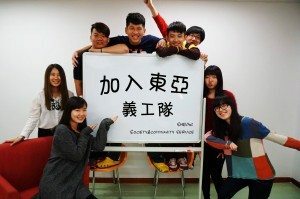 On the afternoon of 8th February, the Society and Community Service Working Group of Stanley Ho East Asia College (SHEAC) organized a visit to Cradle of Hope, an institutional home for babies, children and youngsters without families. As the Lunar New Year was approaching, SHEAC students hoped to bring warmth and joy to the kids who had been abandoned or neglected. Different colors of plasticine were molded into mini hamburgers, little houses and a warm home that the children desired to have. The kids also drew supermen, cute bunnies and New Year wishes with watercolor pens. Towards the end of the visit, the College students gave every kid a gift pack comprising a pencil, a pencil case and a pencil cap and a mini handbag bought earlier at Caritas Macau Sunshine Center with the fund raised from the Charity Show held last semester. Playing and painting together, not only the children enjoyed a happy and warm afternoon in the cold winter, but also the SHEAC students received priceless joy from these little innocent angels. The children’s home was filled with love and happiness. The “Cradle of Hope” Association provides residential homes for babies and children from 0 to 18 years old who have experienced the trauma of abandonment, abuse or neglect. By providing a safe, secure living environment, they hope that each child may heal and develop to become successful members of society. No related photo is posted in this news due to the privacy and confidentiality issue concerning the protected children.